GIVEN the strong tourism traffic between the Philippines and Taiwan since the latter’s visa-free policy, a capitalist from Taiwan is eyeing to expand his hotel chain to key cities in the Philippines, including Cebu. 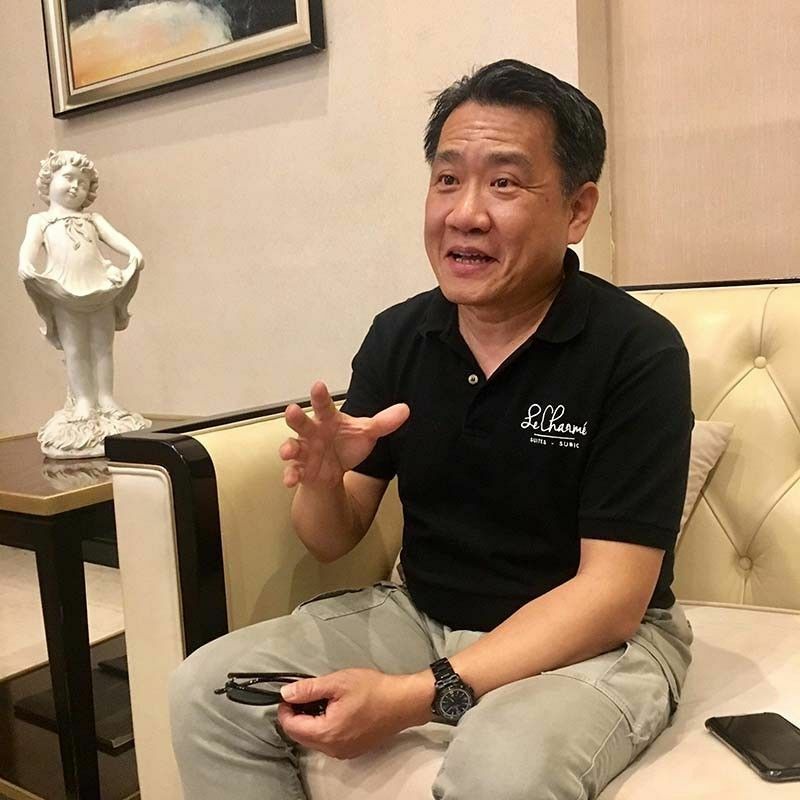 Johnson Yang, chairman of Grand Pillar International Development Inc., said they will open Le Charme hotels in other key tourism destinations in the Philippines to accommodate the growing number of Taiwanese tourists visiting the country. The company opened its first Le Charme hotel in the country in December last year. The Le Charme Suites in Subic offers 45 rooms. Yang said that since Taiwan temporarily lifted its visa requirement for the Philippines, tourist traffic between the two countries has shot up. “Many Taiwanese have visited the Philippines, either for leisure, business and sports. It’s a healthy flow and we want to ride with the momentum,” said Yang. “We are eyeing to operate five branches in the next three years starting this year. That’s including Cebu already. In fact, I have started looking out for possible locations here since last year,” said Josephine Floresca, Grand Pillar’s chief executive officer. But to facilitate the immediate expansion, Yang said mergers and acquisitions would the fastest strategy to scale up the Le Charmé brand, especially since it intends to set up different accommodation categories: suites, mansions, bed and breakfast and inns. Yang said they are more interested in partnering with existing hotels or local developers to build or establish the first Le Charmè Suites in Cebu. “We are looking at 80 to a hundred rooms,” said Floresca, adding that a boutique size business hotel is easier to operate. Amid the presence of local and international hotel brands in Cebu, Floresca believes the province still has room for new players. Yang cited the presence of direct flights between Cebu and Taiwan as one of the factors they looked at, on top of the big volume of tourists who visit Cebu annually. “We’d love to bring more Taiwanese groups to the Philippines and it’s a step in the right direction if we also have presence in other cities of the country,” said Yang. Floresca added they are also excited to bring Le Charmé’s brand of “sincere services” to guests visiting Cebu, which their property in Subic is known for. Following the extension of its trial visa-free access until July, Taiwan’s tourism ministry is aiming to welcome more Filipinos to visit their country this year. Abe Chou, director of Taiwan Tourism Bureau for Malaysia, Philippines, Indonesia and Brunei, said Taiwan’s trial visa-free access has yielded positive results. A total of 419,105 visitors from the Philippines went to Taiwan in 2018, up 44.13 percent compared with 2017. Central Visayas welcomed 84,750 Taiwanese last year, up by 18.14 percent from 71,739 Taiwanese recorded in 2017.